Graspop Metal Meeting 2013 will take place in Kastelsedijk, in Dessel, Belgium on June 28-30, 2013. 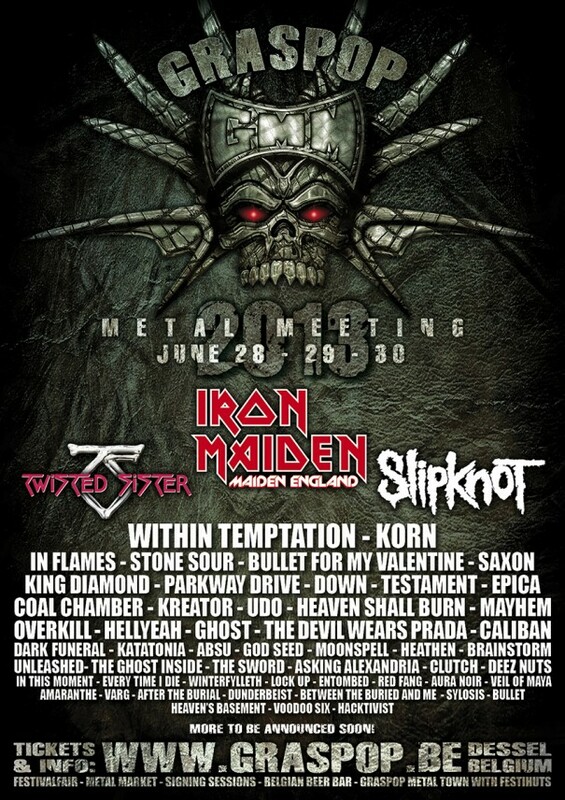 Iron Maiden, In Flames and King DIamond are among the bands that will perform at the Graspop Metal Meeting 2013 festival. Festival tickets for Friday June 28 and Saturday June 29 will be for sale as soon as the headliner for Friday and Saturday is known.